My father, a noted writer from the field of Urdu literature, like many of his friends from the Progressive writers movement, found in his alma mater Aligarh Muslim University, the courage to break the barriers of religion enforced stereotypes. He forced his wife, my mother, who was raised in a conservative family of zamindars from Uttar Pradesh to pursue her education post marriage and give up all ominous practices of subjugation. Among the first few books my mother was gifted besides Maxim Gorky's 'Mother' were on Sir Syed Ahmed Khan, the founder of AMU, and Sultan Shahjahan Begum, the first female ruler who vehemently worked for the promotion of education amongst women and Muslims in particular. Shahjahan Begum, also referred to as the Begum of Bhopal, was the first Vice-Chancellor of the Aligarh Muslim University which gave India some of its best known luminaries from the field of politics, art, literature. AMU alumni include former Presidents of India and current Vice President Hamid Ansari, who also served a term as the Vice Chancellor of the university. Some of the most prolific writers and thinkers with affiliation to the Marxist philosophy owe their careers to AMU. One such figure was Raja Mahendra Pratap, an admirer of Sir Syed Ahmed Khan, who started the Mohammad Anglo Oriental College after successfully completing his education from Oxford and Cambridge. With the dominance of religious education in the lives of Muslims, who were in the lowest rung of socio-economic progress, Sir Syed understood that religious studies from Madrassas did not give the less privileged a window into the world; for them to succeed, there was a dire need for a platform which helped them with a contemporary understanding of religion, philosophy and science. While the University was started with the intent of providing modern education to Muslims, non-Muslims were welcomed. 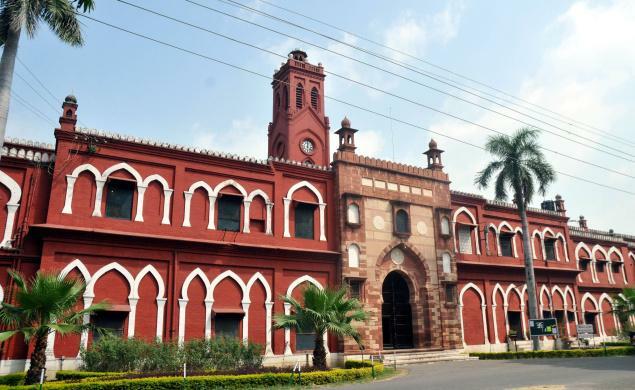 It was for this reason that many Hindu rulers of the time sent their children to the Mohammedan Anglo Oriental College spread over 468 hectares of land which was later renamed the Aligarh Muslim University. So impressed was Raja Mahendra Pratap with the vision of Sir Syed that he decided to lease 3.04 acres of land to the AMU in 1929. Though it was a small share, this helped forge a strong bond between Hindus and Muslims. His commitment to the social cause and his zeal for the Marxist thought was such that Lenin himself is said to have invited him to Russia post the success of the Bolshevik revolution. An independent MP from Mathura from the year 1955 to 1962, and a freedom fighter with a desire to weed out communal thinking, Mahendra Pratap despised all form of right-wing indoctrination. Little did he realize that one day his name would be used by right-wing leaders to turn an educational institute he so admired into a ground for religious polarisation. Satish Gautam, BJP MP from Aligarh, whose party has professed commitment to ushering in a new era of development and inclusive growth, has decided to use AMU to instigate communal politics between Jats and Muslims, both communities being the main constituents of Aligarh. Satish Gautam, a popular figure amongst Jats, possibly realises that the last time the two communities were provoked in Muzaffarnagar, it earned rich political dividends for his party. But in his overzealous endeavour to use AMU, he has conveniently forgotten to state some very important facts to his followers. It would be judicious on the part of Satish Gautam, who has threatened to hold a rally at the gates of the AMU on the birth anniversary of Raja Mahendra Pratap on the 1st of December to list for his followers some of the most revolutionary non-Muslim thinkers from AMU. Before and during the freedom movement, both Muslim and Hindu kings and rulers united against the British and helped each other - these included funding educational institutions. AMU and the famous Banaras Hindu university were the two icons of this educational uprising that received patronage from both the communities. Pandit Madan Mohan Malviya, the founder of the Banaras Hindu University, had no qualms about accepting funds from Muslim rulers and elites. If one were to accept the BJP MP's logic, then each and every person who leased land for the 468 hectares of AMU will have to be celebrated just like each and every donor of BHU and thousands of other educational institutes in India. Would the BJP MP not do a great service to the iconic institution by asking it to celebrate the birth anniversary of social reformer Raja Ram Mohan Roy, who was one of the main influences on Sir Syed Ahmed Khan, or guide the non-Muslim students of Aligarh to the plaque of historian Ishwar Prasad, who belonged to the first batch of graduates from the AMU? The Vice Chancellor of the Aligarh Muslim University has written to the Education Minister Smriti Irani stating that the BJP's decision to hold a rally would provoke communal tension; he has said the university is willing to diffuse the tension by holding a seminar on Raja Mahendra in the future. Smriti Irani displayed her feminist side by speaking out against the VC's alleged decision to not allow female undergraduate students into the Central library - she called it an "insult to the daughters of the country." Now she should take the first step in saving the legacy of the likes of Sir Syed Ahmed Khan and Pandit Madan Mohan Malviya by weeding out the rogue elements who threaten to target educational institutions. In the last few months, there seems to have been a meticulous plan to target educational bodies by fringe elements by planting fictitious stories and dividing them on religious lines. On this particular occasion, it would be wise for the powers that be to not allow local Samajwadi Party and BJP leaders to target the sacrosanct for a communal or political agenda. Both the HRD Minister and the Prime Minister, who has held education as one of the key areas of development in his agenda, should step forward to save the legacy of the great reformists from being converted into a communal experiment. 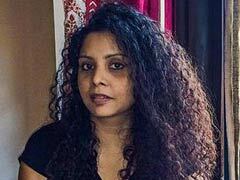 Rana Ayyub is an award-winning investigative journalist and political writer. 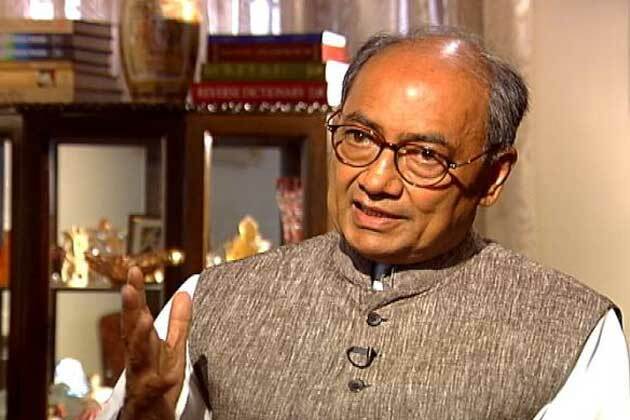 She is working on a book on Prime Minister Narendra Modi which will be published in 2015.